American pride has certainly taken a hit in recent years with the shenanigans that are going on in our government, but this metallic paint job from Splurrt is making me feel a little patriotic. I got an urge to fire up the grill, light some seriously dangerous fire works, and put on a backyard wrestling match for the neighbors. Do you see how two out of three of those things involved the word "fire"? As Americans we've really embraced that discovery from our cave men ancestors and held on to it like the safety bar of a haphazardly constructed carnival ride. Oh, and the third thing will involve fire as well when we have a no holds bared flaming table ladder match for the Southern New Jersey Bad Ideas Championship. I know what my fans want. 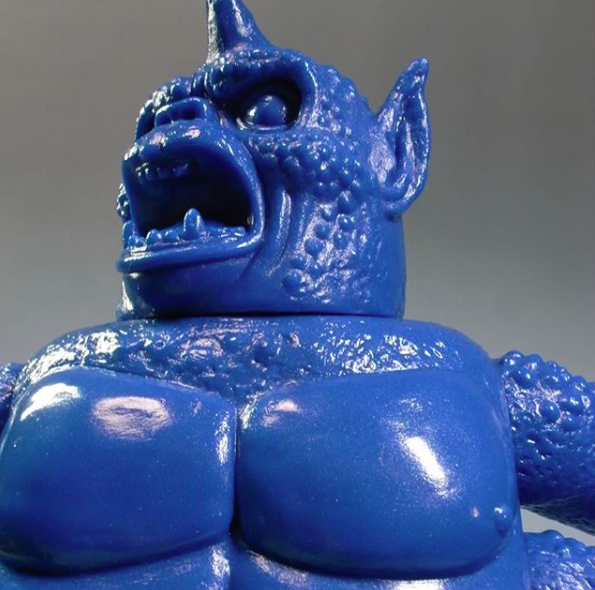 Splurrt is one of the reigning kings of the American sofubi scene and his Usir figure is one of my favorite designs of all time. 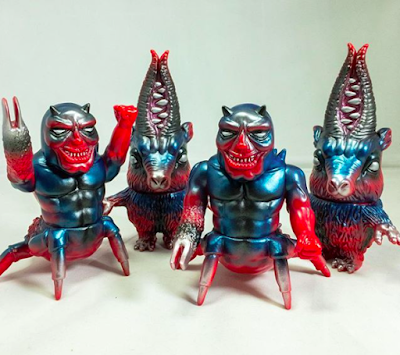 He paired that little buddy up with his Demon figure for a special two pack that will have people scrambling on their internet machines. Releasing this Saturday at noon eastern time, these sets, along with a special blue blank of his magnificently huge Kronos figure, will be available exclusively through http://splurrt.bigcartel.com.